Versatile 20 lb. writing weight—for letterheads, legal documents, business proposals and more. 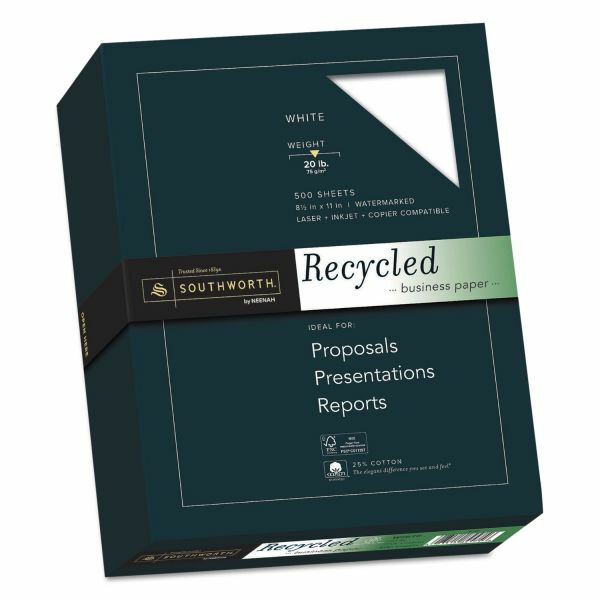 Southworth 25% Cotton Recycled Business Paper, 20lb, 90 Bright, 8 1/2 x 11, 500 Sheets - Environmentally conscious paper is made with a high percentage of recycled material. 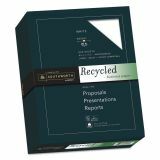 Ideal for reports, presentations and other basic business/legal documents. 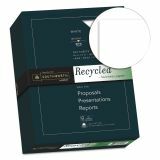 Paper also contains 25 percent cotton and is designed for use in laser printers, inkjet printers and copiers. Each 20 lb. sheet is acid-free, watermarked and date-coded for authentication.